There were four of us who had met to walk the Labyrinth in Edinburgh’s George Square. Labyrinths offer walks of reflection through journeying for anyone. Each person enters with a different thought or need. “As the crow flies,” the centre of the labyrinth is not far away but I am always surprised by how far I must walk when following the twists and turns. I decided to lay two images down as I walked: the first was the U of opening, mind, heart and will, which I overlaid with the three quests: for honour, nobility and enlightenment. I set off to realign what I hold to be important. I turned away from my downloaded pride, greed and foolishness – we each have some default setting for these), seeking to open my mind through humility, gratitude and faithfulness. As the labyrinth twisted and turned in front of me, I began to open my heart to the possibility of integrity without perfection, wholeness without completeness and perseverance without arriving. I must realign or the procession will move away from me. 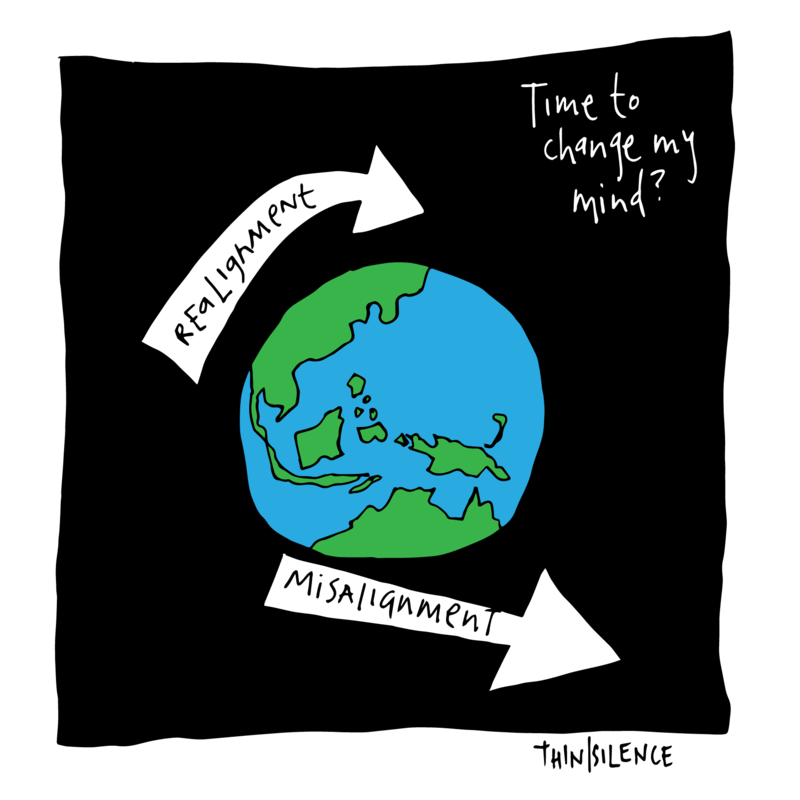 Without realignment I am misaligned.